The M5 has standard BMW Assist, which uses a global positioning satellite (GPS) receiver and a cellular system to remotely unlock your doors if you lock your keys in, help track down your vehicle if it’s stolen or send emergency personnel to the scene if any airbags deploy. The S8 doesn’t offer a GPS response system, only a navigation computer with no live response for emergencies, so if you’re involved in an accident and you’re incapacitated help may not come as quickly. Both the M5 and the S8 have standard driver and passenger frontal airbags, front side-impact airbags, side-impact head airbags, front seatbelt pretensioners, plastic fuel tanks, four-wheel antilock brakes, traction control, electronic stability systems to prevent skidding, daytime running lights, rearview cameras, available crash mitigating brakes, night vision systems, lane departure warning systems, blind spot warning systems and around view monitors. BMW pays for scheduled maintenance on the M5 for 4 years and 50,000 miles. BMW will pay for oil changes, lubrication and any other required maintenance. Audi only pays for the first scheduled maintenance visit on the S8. 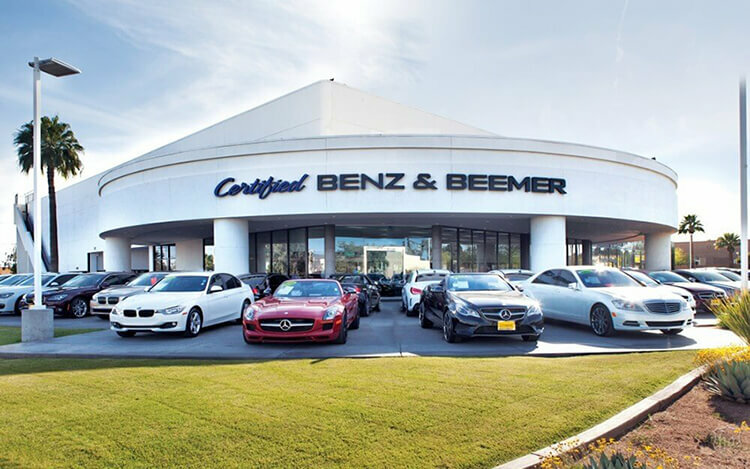 There are over 33 percent more BMW dealers than there are Audi dealers, which makes it easier should you ever need service under the M5’s warranty. J.D. Power and Associates’ 2015 Initial Quality Study of new car owners surveyed provide the statistics that show that BMW vehicles are better in initial quality than Audi vehicles. J.D. Power ranks BMW 6th in initial quality, above the industry average. With 16 more problems per 100 vehicles, Audi is ranked 16th, below the industry average. The M5’s standard 4.4 turbo V8 produces 40 more horsepower (560 vs. 520) and 19 lbs.-ft. more torque (500 vs. 481) than the S8’s 4.0 turbo V8. The M5’s optional 4.4 turbo V8 produces 55 more horsepower (575 vs. 520) and 19 lbs.-ft. more torque (500 vs. 481) than the S8’s 4.0 turbo V8. In heavy traffic or at stoplights the M5’s engine automatically turns off when the vehicle is stopped, saving fuel and reducing pollution. The engine is automatically restarted when the driver gets ready to move again. (Start/Stop isn’t accounted in present EPA fuel mileage tests.) The S8 doesn’t offer an automatic engine start/stop system. The M5 offers optional heat-treated ceramic brake rotors, which last ten to twenty times as long as conventional cast iron rotors, don’t rust, don’t fade during repeated high speed braking, and their lighter weight contribute to better braking, handling and acceleration. The S8 doesn’t offer ceramic brake rotors. For better traction and acceleration, the M5 has larger rear tires than the S8 (295/35R19 vs. 265/35R21). The M5’s rear tires are larger than the largest rear tires available on the S8 (295/35R19 vs. 275/35R21). The M5’s optional 295/30R20 rear tires provide better handling because they have a lower 30 series profile (height to width ratio) that provides a stiffer sidewall than the S8’s 35 series tires. The M5 handles at .95 G’s, while the S8 pulls only .90 G’s of cornering force in a Motor Trend skidpad test. The M5 executes Motor Trend’s “Figure Eight” maneuver quicker than the S8 (24.3 seconds @ .82 average G’s vs. 25.1 seconds @ .79 average G’s). The BMW M5 may be more efficient, handle and accelerate better because it weighs about 300 to 350 pounds less than the Audi S8. The M5 is 8.7 inches shorter than the S8, making the M5 easier to handle, maneuver and park in tight spaces. The M5’s standard rear seats fold to accommodate long and bulky cargo. The S8 doesn’t offer folding rear seats, only a ski pass-through. The M5 offers an optional heads-up display which projects speed and tachometer readouts in front of the driver’s line of sight, allowing drivers to view information without diverting their eyes from the road. The S8 doesn’t offer a heads-up display. If the windows are left down on the M5 the driver can raise them all using the key in the outside lock cylinder. On a hot day the driver can lower the windows from outside the vehicle using the key in the outside lock cylinder or the keyless remote. The driver of the S8 can’t use the remote to operate the windows. When the M5 is put in reverse, the passenger rearview mirror tilts from its original position. This gives the driver a better view of the curb during parallel parking maneuvers. Shifting out of reverse puts the mirror into its original position. The S8’s mirror doesn’t automatically adjust for backing. Standard BMW Apps for the M5 allows the driver and passengers access to select programs on their smartphones, including reading text messages aloud, playing internet radio stations, tagging songs to buy them later, following twitter accounts and other connected activities without taking their eyes off the road or their hands from the wheel. The S8 doesn’t offer factory integrated smartphone program access. Insurance will cost less for the M5 owner. The Complete Car Cost Guide estimates that insurance for the M5 will cost $3580 less than the S8 over a five-year period. The M5 will cost the buyer less in the long run because of its superior resale value. The Intellichoice estimates that the M5 will retain 41.98% of its original price after five years, while the S8 only retains 41.35%. Intellichoice estimates that five-year ownership costs (depreciation, financing, insurance, fuel, fees, repairs and maintenance) for the BMW M5 will be $16817 less than for the Audi S8.